We understand when you are out searching for a company to support and service Office 365 for your company can be a exhausting task. Reading online and finding out what companies offer, then comparing….the deciding to take action. Everything you need to know is right here in this post! Then Contact us today for a no cost consult and see how we can become the most important part of your team, the team that keeps things running! During our first consult, we will ask many questions about your current desktop, network and data. 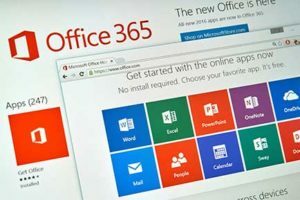 We will need to know what your current Office 365 licensing procedures are, how many employees, do you have a local server, anything “special” too. Bring everything to our meeting, we want to know it all. This is help us create a game plan and offer a quote that best suites your needs. Who does the support at Wahaya IT? We do, all of your support is done right here out of our Baton Rouge location. There is no outsourcing here and we guarantee you will never need to call Microsoft for any issues. Consider us your one-stop shop and we guarantee you will never be on the phone with Microsoft for hours, our expert engineering team know how to fix small issues quickly and manage your updates for your computers and Office products to keep your work day, well…productive! When you join our team to help support and manage your Office 365 services, everything is included in our monthly fees including. Yes, including helpdesk calls, training, special requests. We include your Office 365 services in our phenomenal service plans, so you can focus on your work and we focus on keep your technology up to date. Our core Office 365 services include account setup, migration from your old servers, implementation, aftercare, training and on-going support.